Mayen Pajok village, Warrap State, Southern Sudan.\nAbout 2000 people are staying in the IDP's (Internal Displaced People) camp. They all escaped from heavy fightings between the SPLA (Sudan's People Liberation Arrmy) and the SAF (Sudan Armed Forces). Mayi Bak, who turned blind years ago, and his little son Aleu, 10 years of age. Aleu is his grand-father's guide. 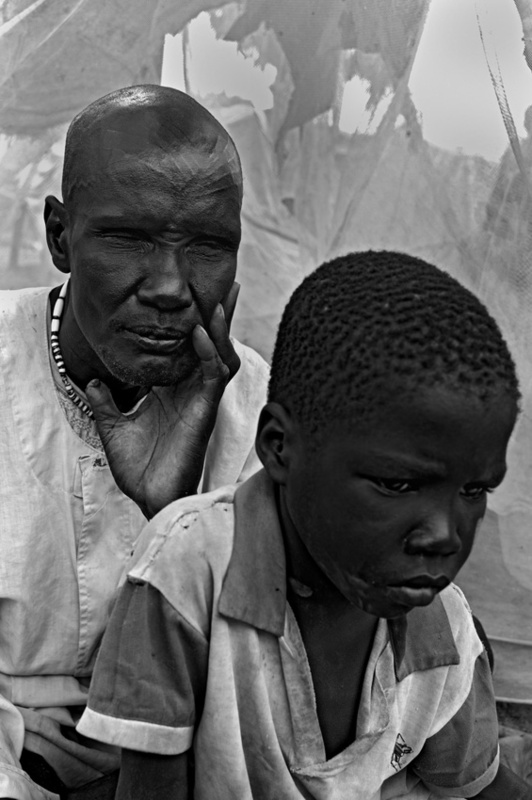 They had to walk for fifteen days from Abyei to Mayen Pajok. They've lost several members of their family during this hard journey.